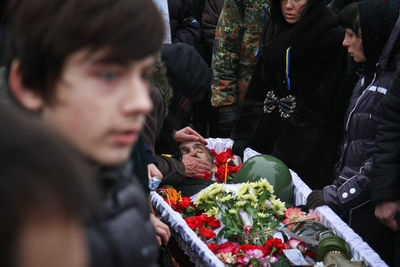 Olexander Shcherbanyuk, was killed by a sniper on February 20, 2104 during the Euro Maidan protests in Kiev, Ukraine. 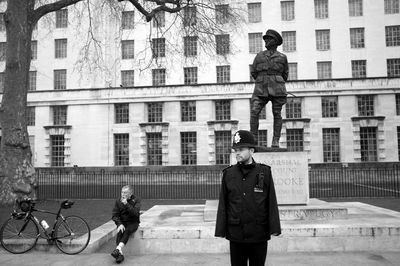 He was amongst the 82 people killed in the riots. 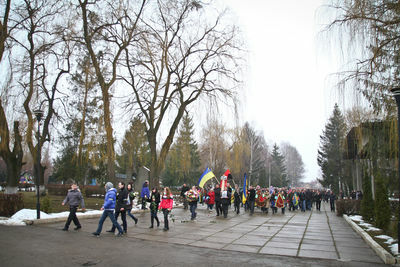 Thousands of citizens joined as his body was carried through the city of Chernivtsi, Ukraine. Guards from the "Right Sector" and "Self Defense" groups. 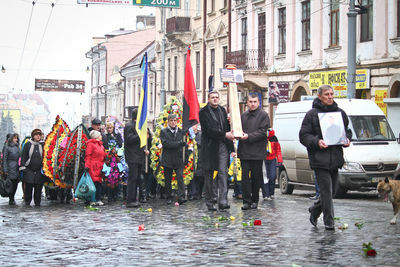 Citizens praying for the memory of Olexander Shcherbanyuk. 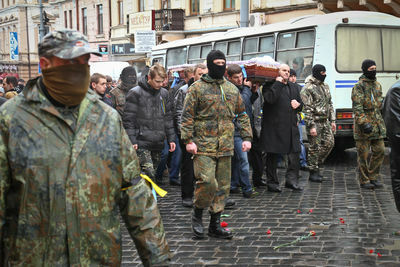 Citizens taking Shcherbanyuk's body to the graveyard. 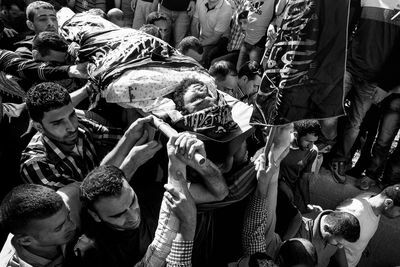 Thousands of people gathered at the Beit Liqya cemetery for the funeral of Islamic Jihad militant Muhammad Assi (28), shot dead a day earlier by Israeli forces near Ramallah. The body was wrapped in Palestinian Islamic Jihad flags. 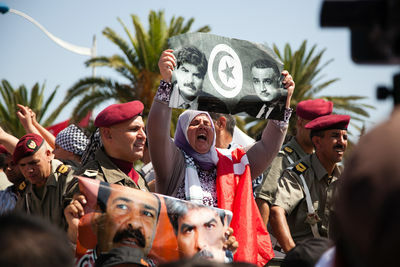 Dozens of cars followed the procession and thousands of people chanted slogans calling for revenge and resistance against Israel's occupation.Islamic Jihad confirmed Assi was one of its militants. The Israeli army confirmed the incident and claimed Assi was responsible for the November 2012 bombing of a Tel Aviv bus that wounded 29 people. 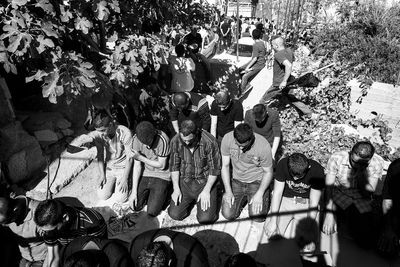 A group of men at the Beit Liqya cemetery getting ready to bury the body of Islamic Jihad militant Muhammad Assi (28), shot dead a day earlier by Israeli forces near Ramallah. 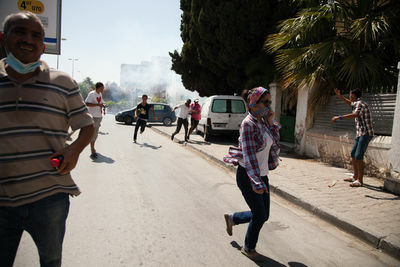 The body was wrapped in Palestinian Islamic Jihad flags. Dozens of cars followed the procession and thousands of people chanted slogans calling for revenge and resistance against Israel's occupation.Islamic Jihad confirmed Assi was one of its militants. 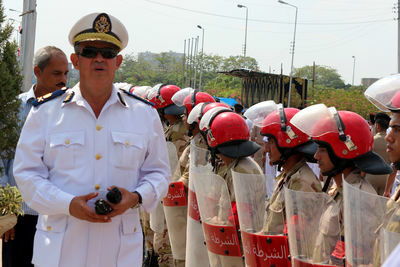 The Israeli army confirmed the incident and claimed Assi was responsible for the November 2012 bombing of a Tel Aviv bus that wounded 29 people. 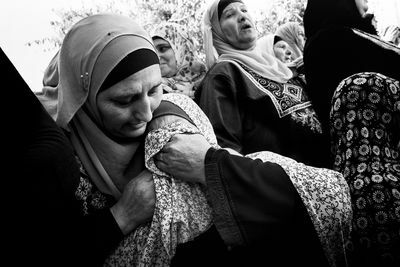 Women from the village of Beit Liqya mourning the death of Islamic Jihad militants Muhammad Assi (28), shot dead a day earlier by Israeli forces near Ramallah. 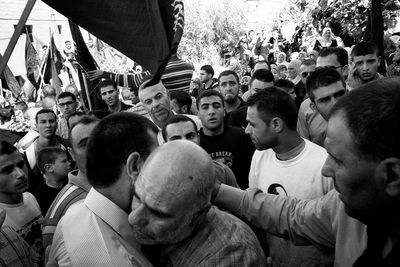 People from the village of Beit Liqya hugs relatives of Islamic Jihad militants Muhammad Assi (28), shot dead a day earlier by Israeli forces near Ramallah. 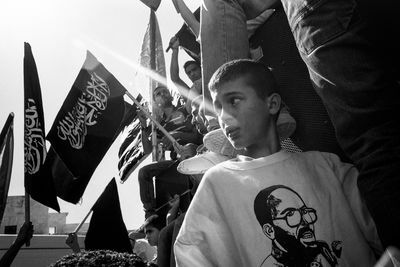 The funeral took place in Beit Liqya where he was wrapped in Palestinian Islamic Jihad flags. Dozens of cars followed the procession and thousands of people chanted slogans calling for revenge and resistance against Israel's occupation.Islamic Jihad confirmed Assi was one of its militants. The Israeli army confirmed the incident and claimed Assi was responsible for the November 2012 bombing of a Tel Aviv bus that wounded 29 people. 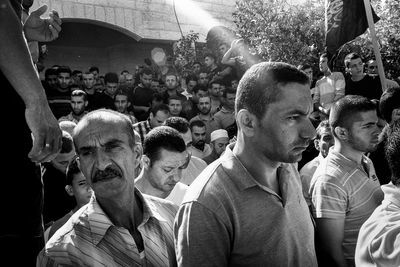 Thousands of people gathered at the Beit Liqya mosque for the funeral of Islamic Jihad militant Muhammad Assi (28), shot dead a day earlier by Israeli forces near Ramallah. 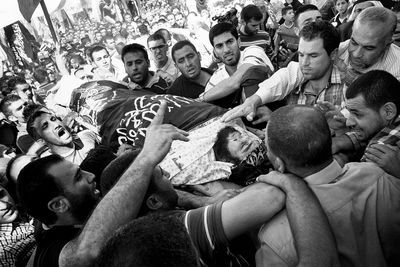 The body was wrapped in Palestinian Islamic Jihad flags. Dozens of cars followed the procession and thousands of people chanted slogans calling for revenge and resistance against Israel's occupation.Islamic Jihad confirmed Assi was one of its militants. The Israeli army confirmed the incident and claimed Assi was responsible for the November 2012 bombing of a Tel Aviv bus that wounded 29 people. 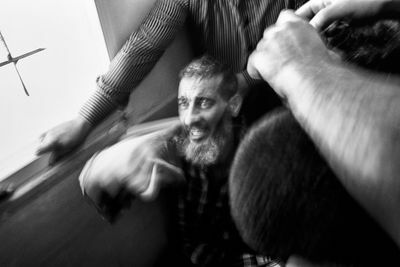 Close relatives of Islamic Jihad militant Muhammad Assi (28), shot dead a day earlier by Israeli forces near Ramallah, mourning his body inside his house in the village of Beit Liqya, before the burial. 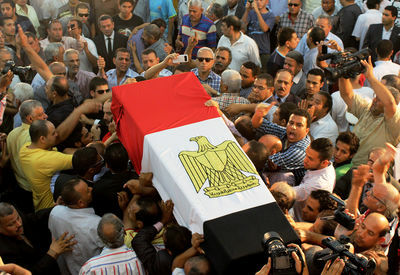 The funeral took place in Beit Liqya where he was wrapped in Palestinian Islamic Jihad flags. Dozens of cars followed the procession and thousands of people chanted slogans calling for revenge and resistance against Israel's occupation.Islamic Jihad confirmed Assi was one of its militants. The Israeli army confirmed the incident and claimed Assi was responsible for the November 2012 bombing of a Tel Aviv bus that wounded 29 people. 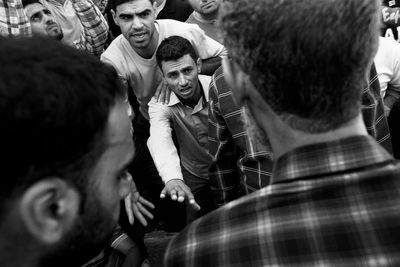 People carrying the body of Islamic Jihad militants Muhammad Assi (28), shot dead a day earlier by Israeli forces near Ramallah. 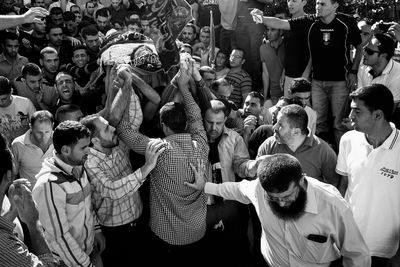 The funeral took place in Beit Liqya where he was wrapped in Palestinian Islamic Jihad flags. Dozens of cars followed the procession and thousands of people chanted slogans calling for revenge and resistance against Israel's occupation.Islamic Jihad confirmed Assi was one of its militants. 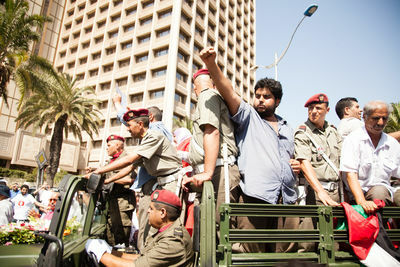 The Israeli army confirmed the incident and claimed Assi was responsible for the November 2012 bombing of a Tel Aviv bus that wounded 29 people. 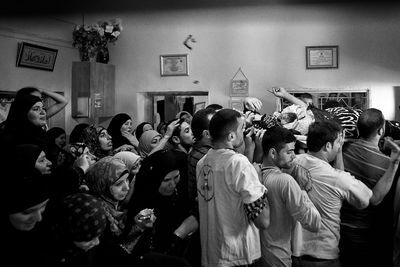 Friends and relatives crowd around the body of Islamic Jihad militant Muhammad Assi (28), shot dead a day earlier by Israeli forces near Ramallah, in the mosque of Beit Liqya, before the burial. 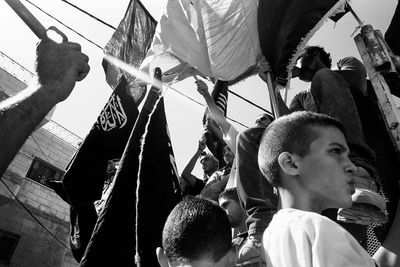 The funeral took place in Beit Liqya where he was wrapped in Palestinian Islamic Jihad flags. Dozens of cars followed the procession and thousands of people chanted slogans calling for revenge and resistance against Israel's occupation.Islamic Jihad confirmed Assi was one of its militants. 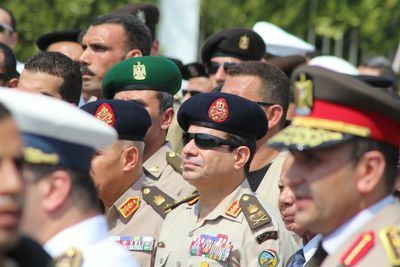 The Israeli army confirmed the incident and claimed Assi was responsible for the November 2012 bombing of a Tel Aviv bus that wounded 29 people. 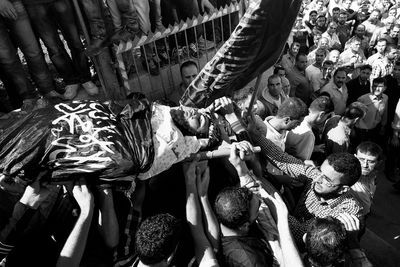 People carrying the body of Islamic Jihad militants Muhammad Assi, shot dead a day earlier by Israeli forces near Ramallah. 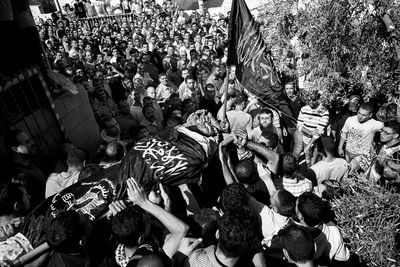 The funeral took place in Beit Liqya where he was wrapped in Palestinian Islamic Jihad flags. Dozens of cars followed the procession and thousands of people chanted slogans calling for revenge and resistance against Israel's occupation.Islamic Jihad confirmed Assi was one of its militants. The Israeli army confirmed the incident and claimed Assi was responsible for the November 2012 bombing of a Tel Aviv bus that wounded 29 people. 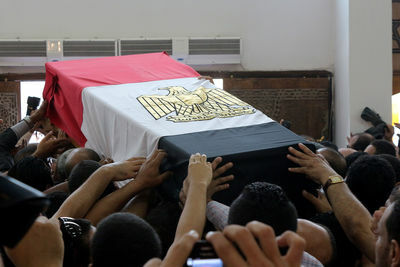 The body of fallen general "nabil farag " who killed during the security operation on Thursday in Giza town of Kerdasa . 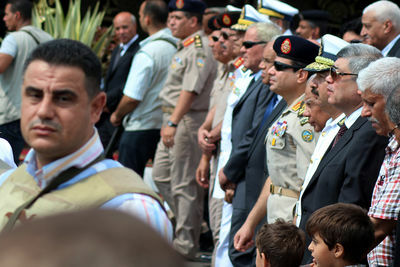 The Funeral of fallen general "Nabil Farag " who was killed during the security operation on Thursday in Giza town of Kerdasa. 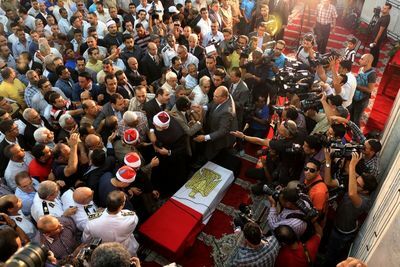 The funeral of fallen general "nabil farag " who was killed during the security operation on Thursday in Giza town of Kerdasa . Five thousand marched for burial of nationalist Mohammed Brahmi on Jul. 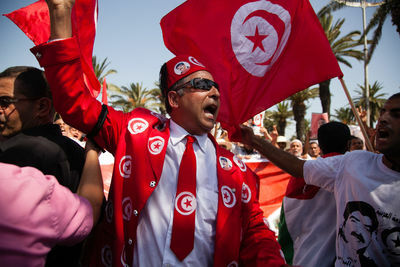 27, 2013 at the Al-Gazala cemetery next to similarly assassinated leftist Chorki Belaid in Tunis, Tunisia. Burial of nationalist Mohammed Brahmi on Jul. 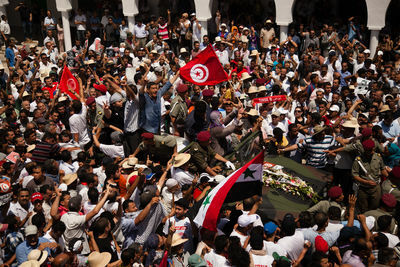 27, 2013 at the Al-Gazala cemetery next to similarly assassinated leftist Chorki Belaid in Tunis, Tunisia. Five thousand gather for burial of nationalist Mohammed Brahmi on Jul. 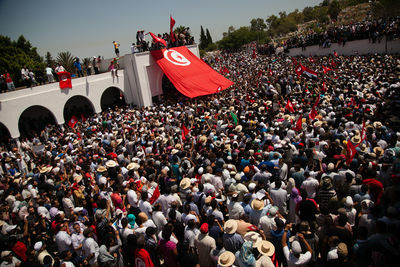 27, 2013 at the Al-Gazala cemetery next to similarly assassinated leftist Chorki Belaid in Tunis, Tunisia. 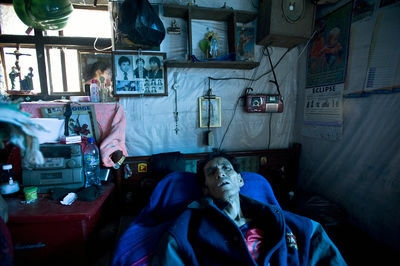 After seven years of suffering from diabetes and no access to adequate treatment and nutrition, 49-years old Rodrigo lays in bed, waiting for his last moment in his small home in San Jorge La Laguna, Guatemala. This father of five children has been in and out of hospital frequently. 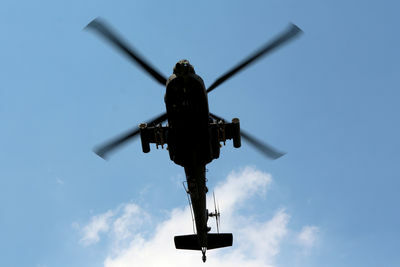 He chose not to return there to spare his family from financial difficulties. In Guatemala, death too often represents a heavy financial burden. 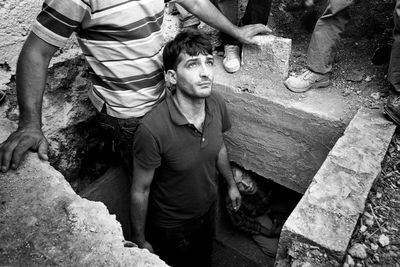 On top of their daily struggle to secure money for food, many families have to deal not only with grief but also with huge debts for the wake and funeral. 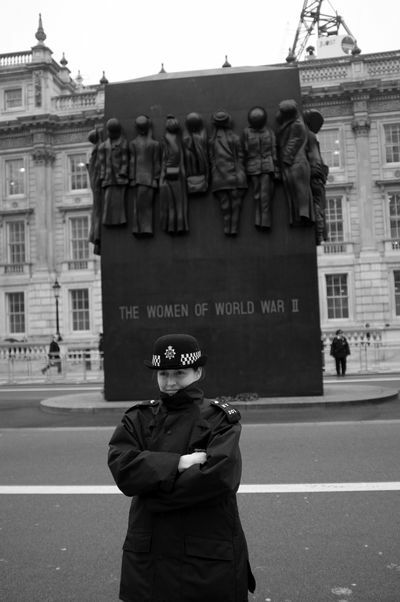 A police officer secures the area waiting for the flag-draped coffin with the body of former British Prime Minister Margaret Thatcher to pass by 10 Downing street in London, Britain 17 April 2013. Baroness Thatcher died after suffering a stroke at the age of 87 on 08 April 2013. 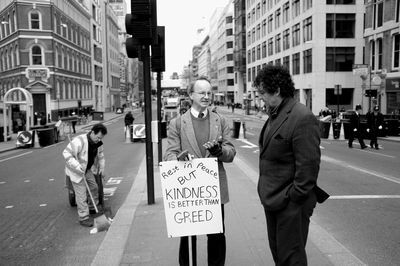 A street cleaner works near a protestor after the funeral ceremony of former British Prime Minister Margaret Thatcher at St. Paul's cathedral in London, Britain 17 April 2013. Baroness Thatcher died after suffering a stroke at the age of 87 on 08 April 2013. 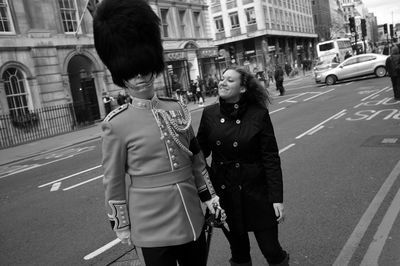 A woman poses with a soldier who escorted the flag-draped coffin carrying the body of former British Prime Minister Margaret Thatcher to St. Paul's cathedral in London, Britain 17 April 2013. 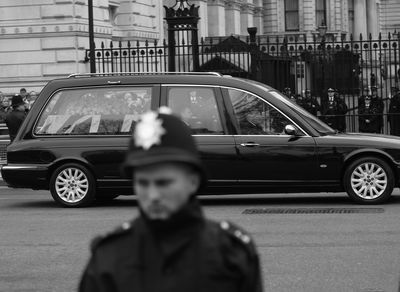 Baroness Thatcher died after suffering a stroke at the age of 87 on 08 April 2013.